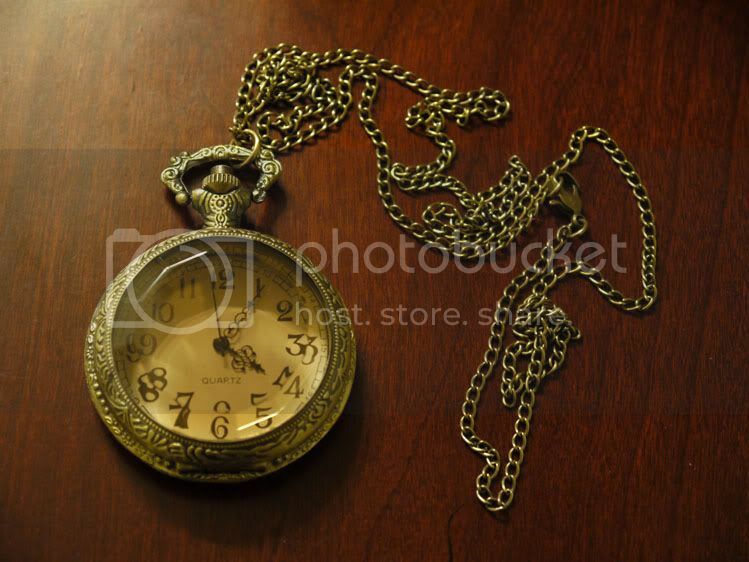 pocket watch from a friend. 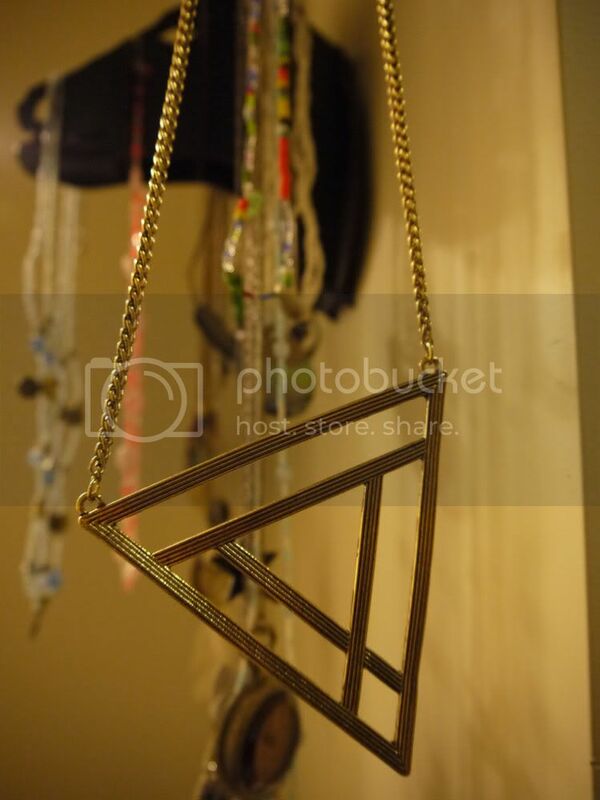 triangle necklace from gypsy warrior. 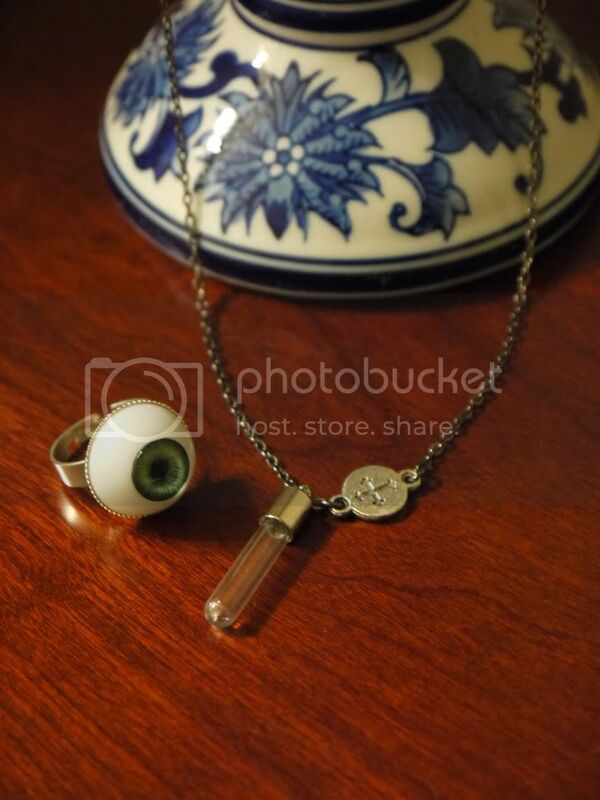 large eyeball ring & vial necklace from empty casket.